Cute Cat Food Dish with Kitty Footprints! 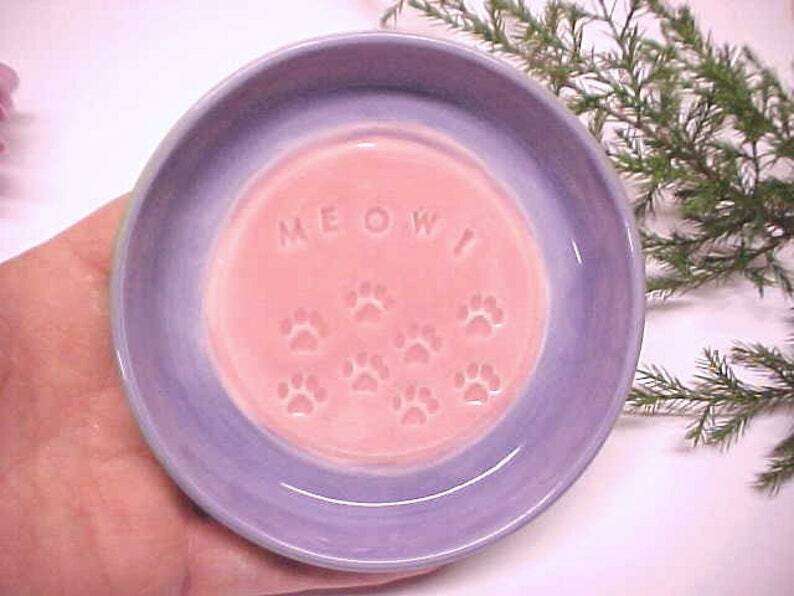 I made this colorful, small shallow bowl for your special kitty from White Porcelain & stamped little kitty footprints & MEOW! in the middle to make it cute! >Notice SIZE> Measures about 4 1/2 inches wide, about 3/4 inch tall. Food safe, just small enough for those finicky kitties! Hand Painted, glazed in the middle with Tea Rose Pink, around inside with Lavender, on the outsides with Sage Green.